Several legends influenced by historical events tell similar stories about the twin princes that were evil demons. They robbed and killed everywhere they went. 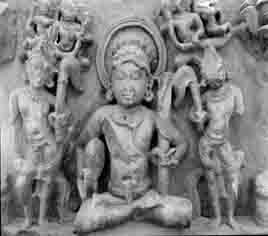 The people asked Lord Shiva to save them and Lord Shiva sent Ganesh to remove the devils from the kingdom. 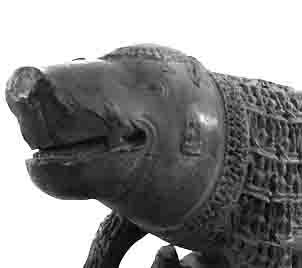 Lord Ganesh managed to kill one of them, Prince Sunder. Prince Hingol,the other brother, understood that to deal with gods he needed more power so he undertook penances and received the boon that no living being in the three worlds could kill him in an open space filled with light. 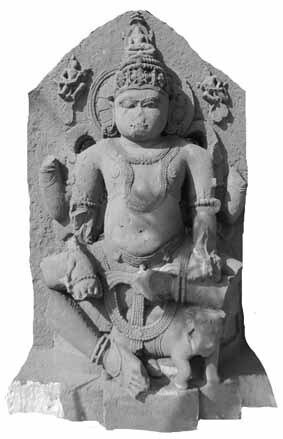 He never went out of his protected palace after sunset and became known as Hingol Deva but continued to be cruel with his subjects. 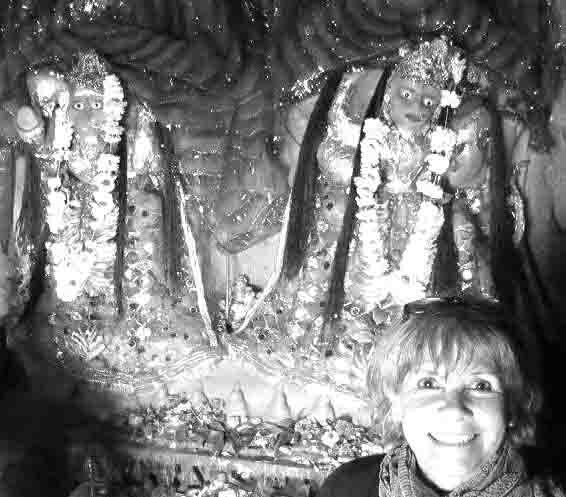 The unhappy people asked the Devi to help them to get rid of the demon. One day Hingol went inside a cave, mesmerized by a light that was illuminating a trishula. 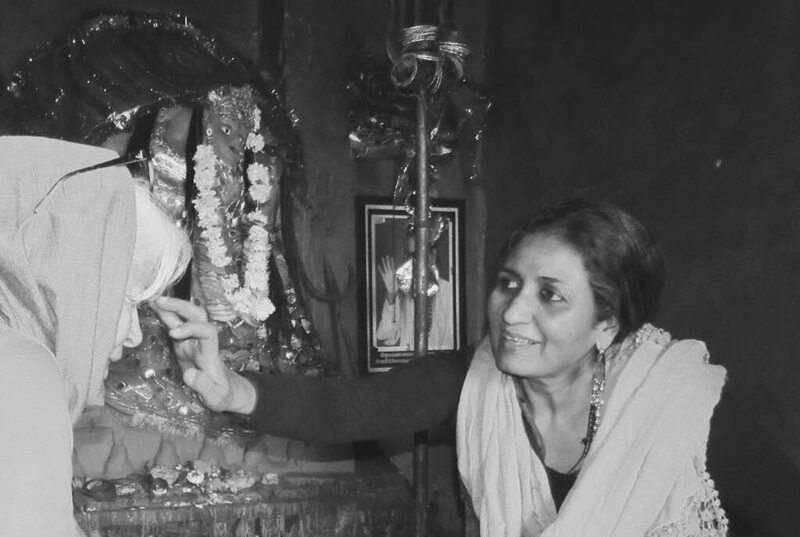 He was not aware that it was a Shakti Pitha in Balochistan (now Pakistan), one of the divine places where a body part of the corpse of Sati Devi fell as Lord Shiva was carrying it while wandering in sorrow. 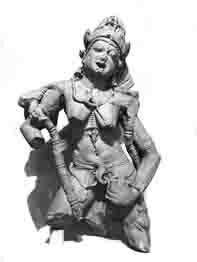 The head of Sati Devi had rolled into the cave and Lord Shiva has left his trishula to protect the divine space. 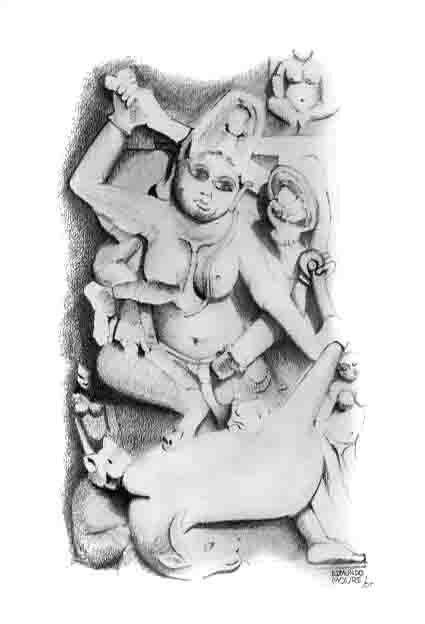 When Hingol was inside the cave, the energy of Shakti expressed in cleverness (the head ) had first tricked Hingol inside the normally dark cave and then staked the illuminated trishula in the body of the demon. 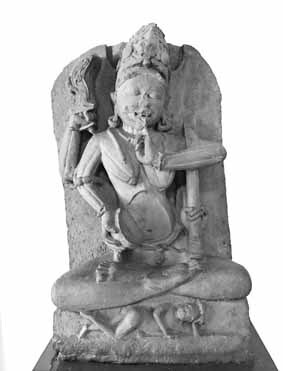 The emotions of the demon were so dark that no light could go through his body and in darkness he died but just before his last breath he prayed to the Devi asking that his name be remembered. She granted the boom. 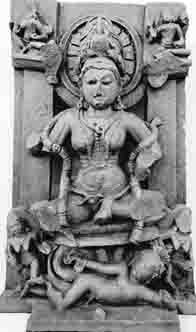 In those days when the Devi killed demons she added to her name the name of the demon she had killed. 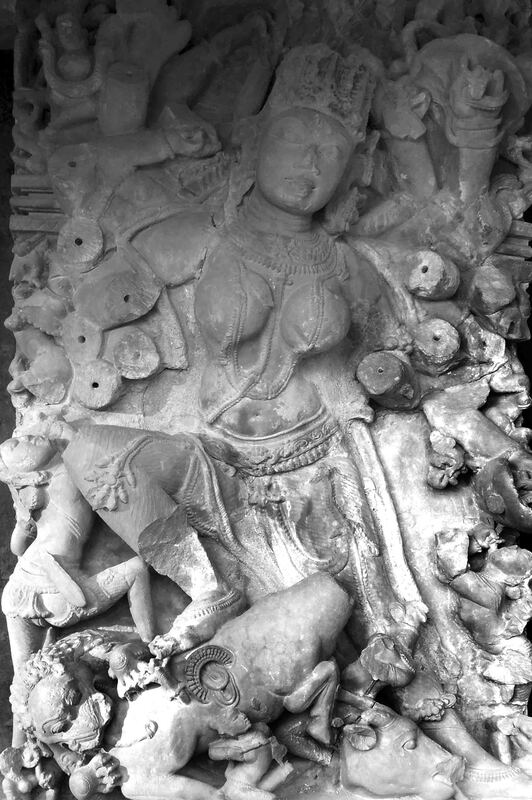 As Mahishasuramardini is the destroyer of the great demon, the name of Hinglaj Devi probably has to do with the shaft of light (aja) that attracted and killed Hingol. While incorporating the name of the demon in her own name, she granted the boon that the name of Hingol would be remembered. She became known as the goddess that will grant all the boons. 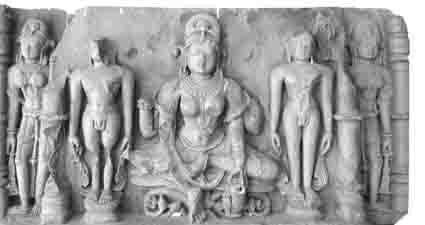 The goddess Hinglaj Mata became famous beyond the rocky hills of Balochistan and her fame arrived to a religious holy site that took her name. Later, the site of Hinglaj became protected by the Mauri kings who were probably descendants of nomadic people from the desert (Maru = desert). 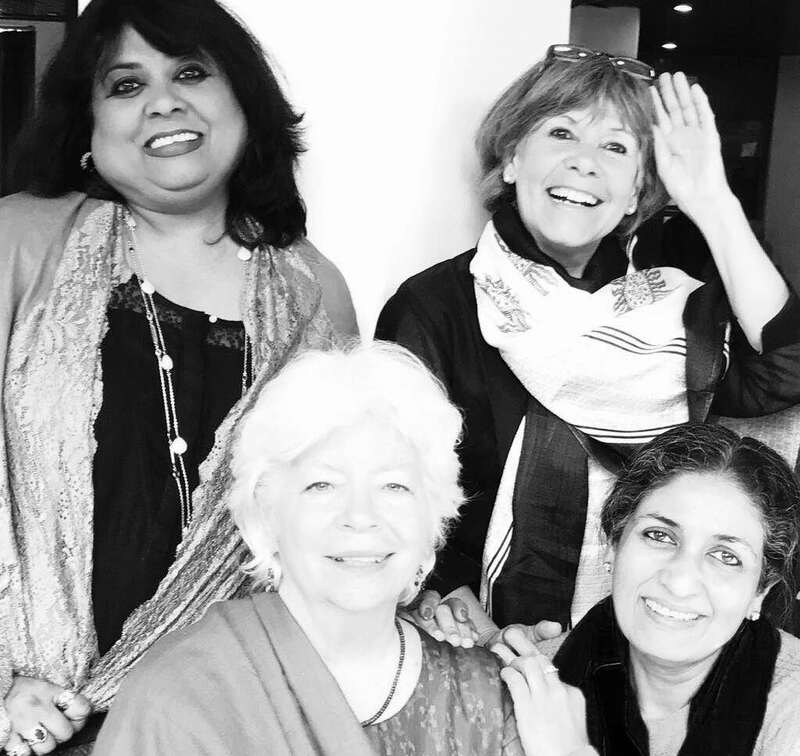 The goddess became their Kuladevi. 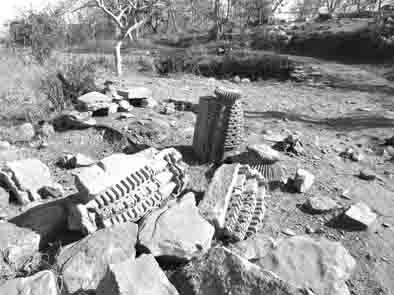 Through the years the Mauri kings constructed a fort known as Hinglajgarh. हिंगलाजगढ़ (The fort of Hinglaj). 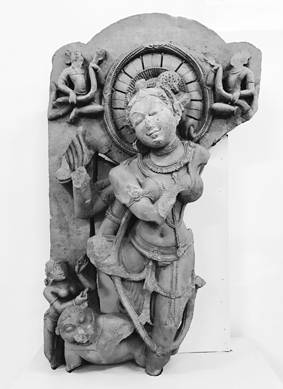 The glory and fame of Hinglaj Mata, the bestowal of boons traveled across India and probably became also associated to other goddesses bestowals of boons: the Yoginis. 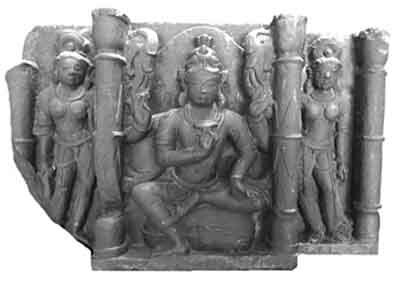 Around the 10th century, probably before the fort was constructed, a Yogini temple was built near the site. 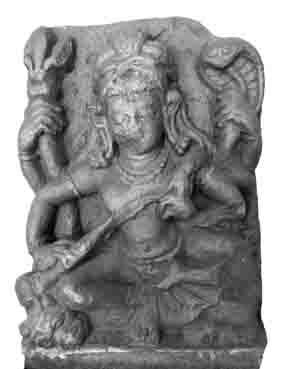 It’s possible that Hinglaj Mata took the iconography of Mahishauramardini, inserting the trishula in the body of the demon. 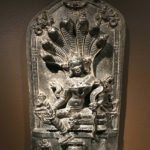 The sculptures, almost one meter high, are very beautiful though the stele is not very elaborate which was the style at that time. 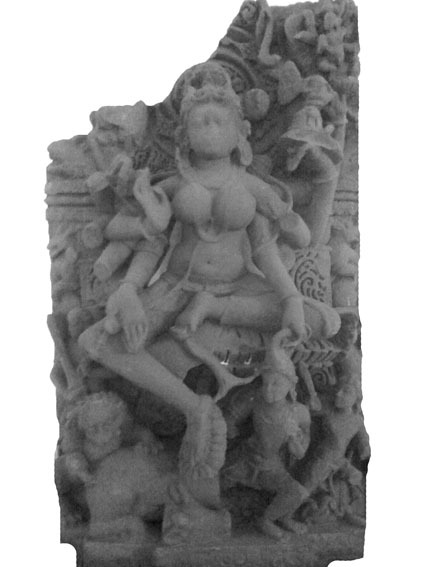 Several scholars have noted that the tutelary Yogini of the Yogni Temple in Khajuraho which has the iconography of Mahishauramardini, has an inscription with the name Hinglaj. 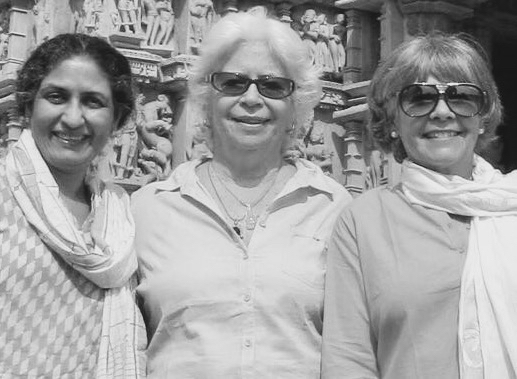 At Hinglajgarh there was not only a Yogini temple but there were several other temples and many gods and goddesses from different religious paths. 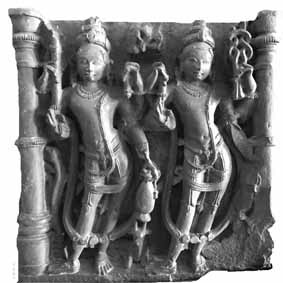 Jain sculptures, Buddhist ones, Vaishnava, a large number of Shaiva sculptures (as Lakulisha), Shakta with many sculptures of Chamunda and the Matrikas. 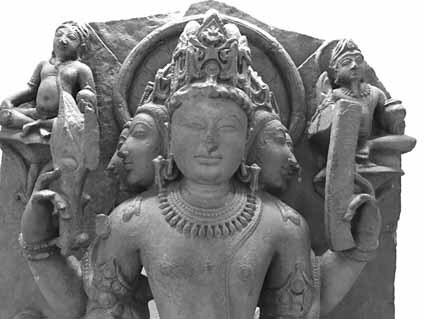 We found a large quantity of sculptures at the museums of Bhopal, Indore, Bhanpura and Kota that are a testament to the important religious activities of the area. At the site we found ruins of ancient temples scattered on the ground and the ruins the walls of the fort. 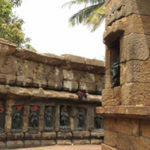 The main temple hosts two goddess: Hinglaj Mata and Kali Ma. 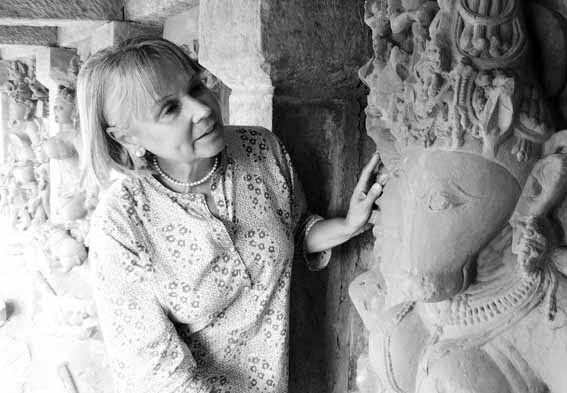 It is impossible to know if the sculptures are ancient as they are covered with a thick orange paint and dressed up. 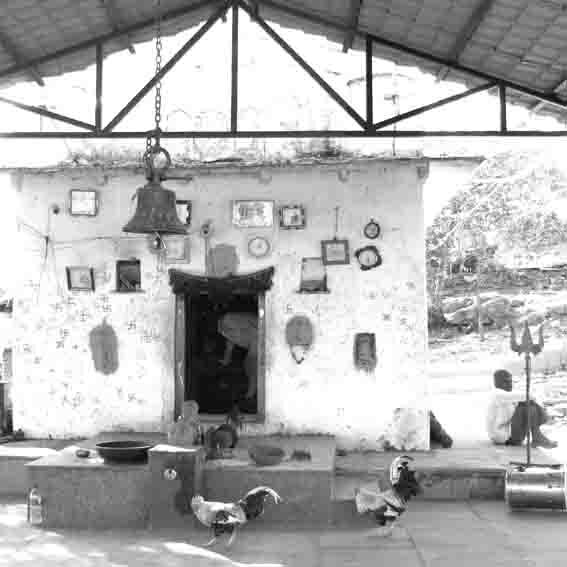 The Pujari told us some legends regarding the power of Hinglaj Mata and how the followers brought roosters after the Devi granted their boons. 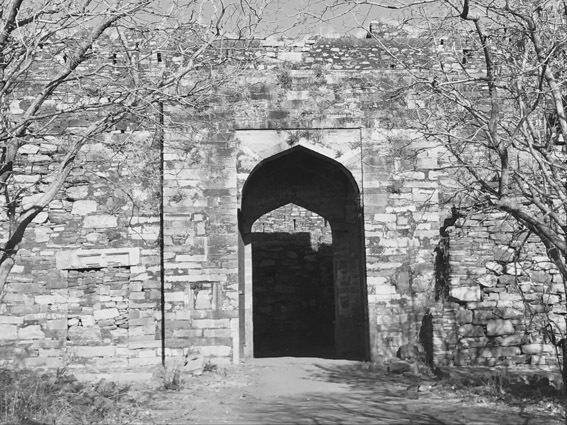 Hinglajgarh (The Fort of Hinglaj) Constructed or repaired after the arrival of the architectural islamic style. 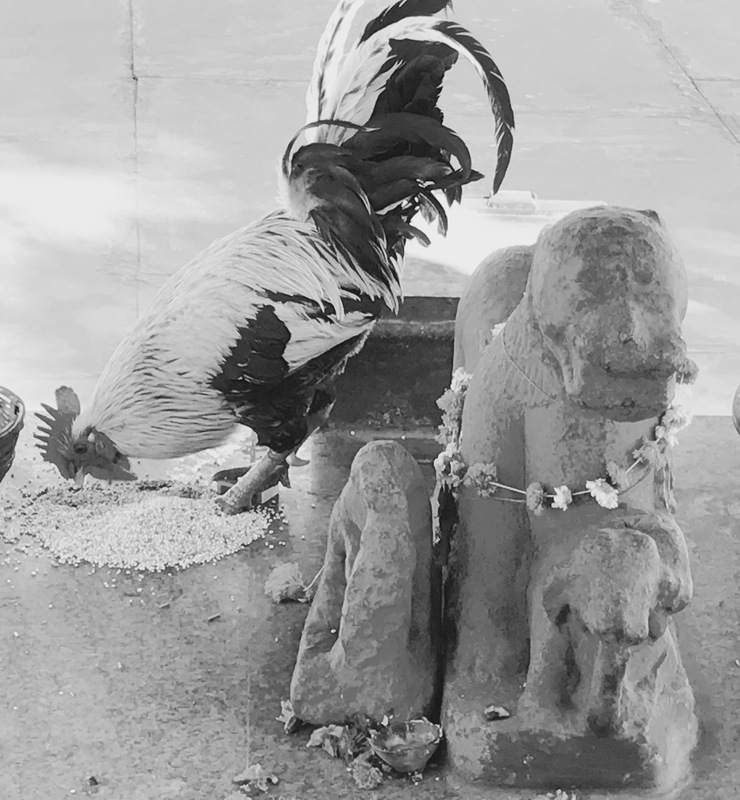 The many roosters around the temple crowing with the day light, remind us that if we notice the day light it’s because we have experienced the darkness of the night. 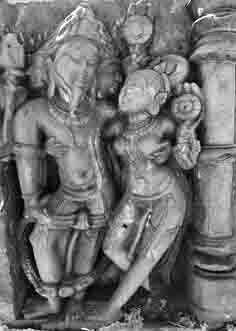 Bheraghat 81 Yogini Temple near Jabalpur M.P. 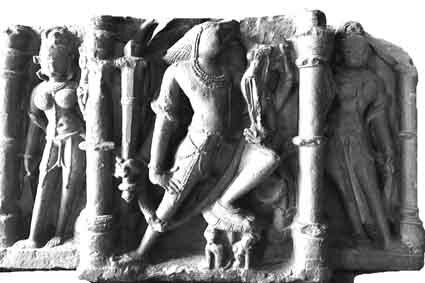 Farther on, at the 81 Yogini temple of Bheraghat is another Mahishauramardini (the Devi killing a demon buffalo) but once again it is named after a local legend: Teramva. 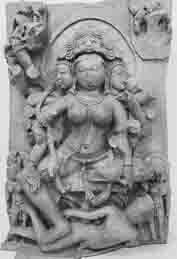 And at Shadol we found another Mahishasuramardini but with the name of Krishna Bhagavati.